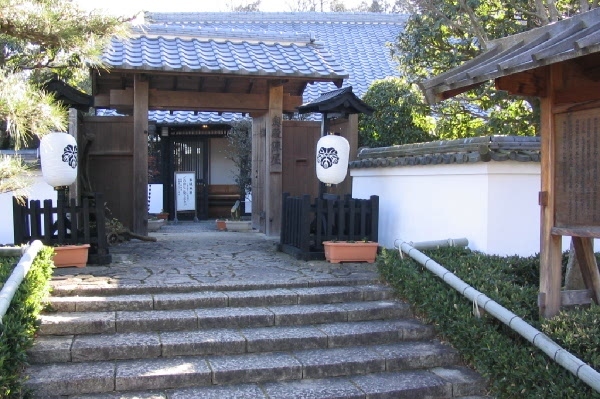 Okutono Jinya is a little difficult to get to, however combined with a visit to Asuke it gives a glimpse into life in rural areas of Japan during the Tokugawa Shogunate. A Jinya was the name usually given to the headquarters (barracks) of a small landlord, or in the case of Takayama Jinya, of an administrative unit directly ruled by the Tokugawa Shogunate from Edo. Throughout the shogunate, the key currency unit was a measure of rice called koku (or goku depending on the reading) which was approximately 180 kilograms (396 pounds) of rice. The value of a feudal domain (and the taxes due from it) depended upon how much rice the domain could grow. Only a landlord with a domain exceeding 30,000 goku was allowed to build a castle (and only one per domain), and some landholdings were extremely large. 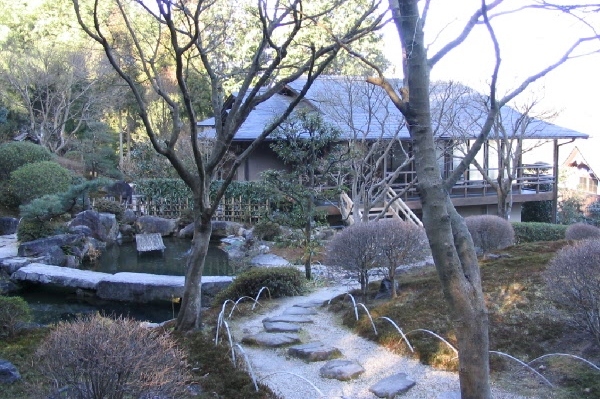 Okutono Jinya was the headquarters of the Okutono branch of the important Ogyu Matsudaira family - one of the main relatives of the ancestral family of the Tokugawa. However the territory of the Okutono branch never exceeded 16,000 goku. Okutono Jinya was built by Matsudaira Morizane in 1711 in the middle of the Edo (Tokugawa Shogunate) era and was governed until 1863 by the heads of the family for seven generations for the next 152 years. At one stage Okutono Jinya contained many different kinds of buildings. Apart from the main structure, there was a shoin style drawing room, a residence for the feudal lord, the local government office, a study, a training room, residences for the local administrators among a total of 33 buildings. 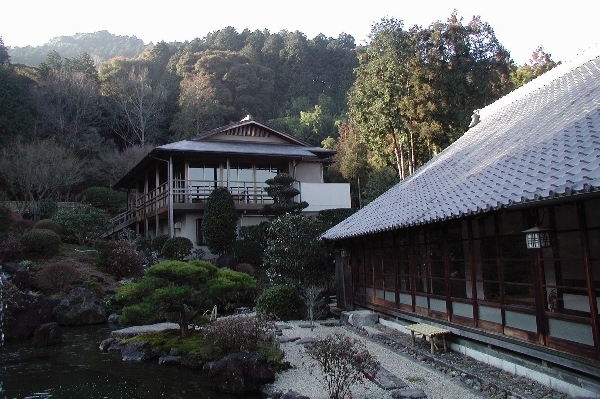 The main building has been restored, and is a good place to sit and view the moss garden while drinking a cup of freshly made macha. The first thing you will notice entering the building is the corridor of polished wood separating the tatami mats from the outer walls. This is a security measure, designed to prevent an assassin from driving a spear through the outer wall (wooden) into the sleeping body of a visiting VIP. It was also useful for stationing bodyguards (the planks of the corridor squeak with age), and helped to insulate the inner rooms - shoji (paper covered sliding panels) were usually placed on the runners between the tatami mats and the wooden floored corridor. One of the first rooms you enter is a small armoury. here there are weapons including spears, halberds and various swords. The Jinya was a place of local government, and as with all government at the time it was military. There are also some displays introducing some of the famous members of the Okutono Matsudaira clan including Gengensai, an 11th degree master of one of the largest Japanese tea ceremony schools - Ura Senke (hence the emphasis placed on tea when visiting the Jinya), Nagai Naoyuki - the founder of the Japanese navy, and Matsudaira Norikata who was the last feudal lord of the Jinya and the founder of the former body of the Japan Red Cross. Also available for public view (permanent display) are the local clan records and valuable materials about the history of Okutono Jinya. 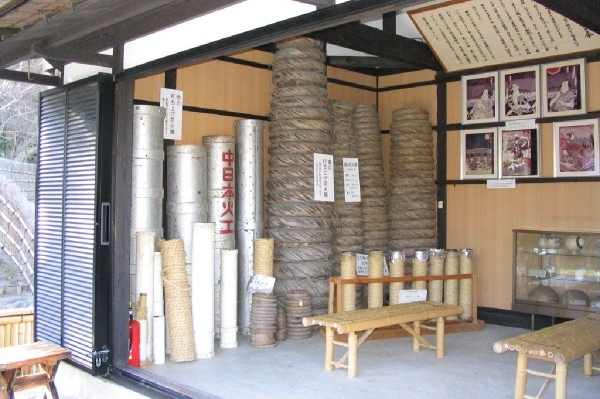 In a separate building, there are also exhibits of some of the handmade fireworks for which Okazaki remains famous (clans such as the Matsudaira had a virtual monopoly on gunpowder production throughout the Edo era as the Tokugawa did not trust the manufacture of such an important military material to outsiders). 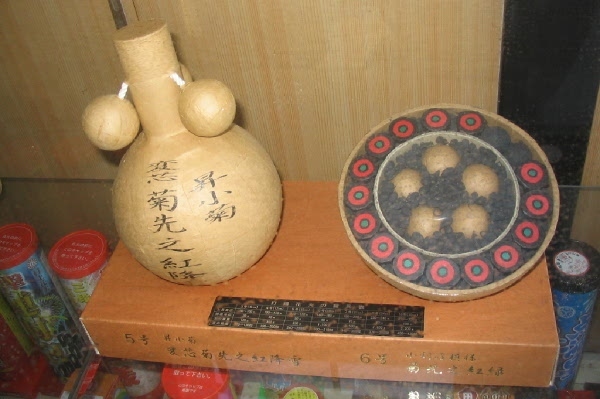 In the almost complete absence of war throughout the long rule of the Tokugawa, peaceful uses for gunpowder was found in mining, quarrying and fireworks. The main attraction though is the beautiful moss garden (called Hourai-no-niwa), the carp swimming in the ponds and the modern flower garden (which is a big hit amongst Japanese visitors, especially those aspiring to a green thumb). Okutono Jinya stands at the foot of Mt. Murazumi which was once named Mt Hanazono (Mt Flower Garden). Now the location of a popular hiking course, it was given this name by the Empress Dowager Jitoh Johkoh about 1300 years ago, just before the beginning of the Nara era. At that time the Emperor was Mon-mu and the capitol was Fujiwara Kyo. The area around Okutono Jinya is still predominantly rural, with the small road leading up the valley into the forested hills still providing scenery in which it is possible to visualize the old salt trade routes and villages. It is very fertile, watered by the Gunkai and Kasumi rivers (both branches of the Yahagi river) however the suburbs of Okazaki are starting to encroach on the area, and it is only a matter of time before suburbia surrounds the Jinya. The beauty of the moss garden, forests and mountains will remain, but the valley should be enjoyed while you still can!